I often pass by Lamport Stadium on my way to Roncesvalles Village on the King streetcar, and since I despise sports of any kind, I rarely give much thought to the facility. But, as I rode by one day, I wondered about what must have stood on the site before the construction of the complex. Doing a little subsequent research, I was quite surprised to discover that the previous occupant of the land on KIng just east of Dufferin, was actually of significance to the city's history, and women's history in particular. It was the first prison in Canada built exclusively for female offenders, according to Heritage Toronto. Constructed in 1872 (although some sources specify the date as 1880), the interior was supposed to remind the inmates of home, but judging from the institutional variation of the Gothic Revival style of the exterior, it must have given them quite the opposite impression. In addition to confining women, the regime at the Reformatory also served to acquaint the women with the virtues of the Victorian feminine ideal, the proverbial "angel in the house," which included domesticity, servility, and perhaps above all, obedience. They performed the usual tasks associated with household drudgery, such as cooking, baking, sewing, and knitting. All these tasks were performed under the close supervision of the female staff, keeping in tune with the matriarchal set up of the Reformatory. 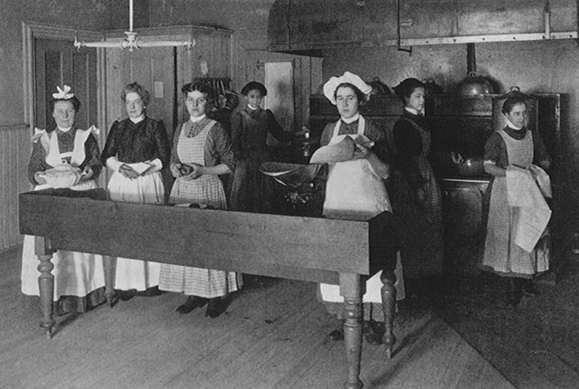 The founders of the institution hoped that forced labour would allow the prisoners to learn skills that would help them to gain employment when their sentences came to an end. The late nineteenth-century city operated in a different legal framework than our own - thus the Mercer criminals also included prostitutes, brothel keepers, unwed mothers, and women suffering from venereal diseases. Further, over half of the prisoners were classified as domestics upon admittance, so the majority of the women were decidedly working-class. According to the Archives of Ontario, the inmates were over sixteen years of age and their sentences varied from thirty days to two years. In November 1964, as reported by the Toronto Star, grand jury charges against the institution were brought to the attention of the Reform Institutions Minister, Allan Grossman. The jury, headed by the foreman, Richard H. Lyall, alleged that the conditions at the Mercer were substandard. In their report, they claimed that the matron, Jean Burrows, was incompetent, unfit for her post and that medical care was inadequate. Windowless basement cubicles measuring four by seven feet, and resembling a dungeon, were used for solitary confinement. In addition, they also condemned the poor training of the inmates and their teachers, who were inadequate, as well as widespread sexual relations among the prisoners. Although Grossman denounced the report, the antiquated Reformatory closed down in March of 1969, amid much controversy. The inmates were transferred to the Vanier Centre on April 3, 1969, and the old complex was condemned and subsequently torn down in the early 1970s. There was no public support to preserve the building, as the Star noted at the time of the wrecking. The Lamport Stadium was constructed on its site in 1974. 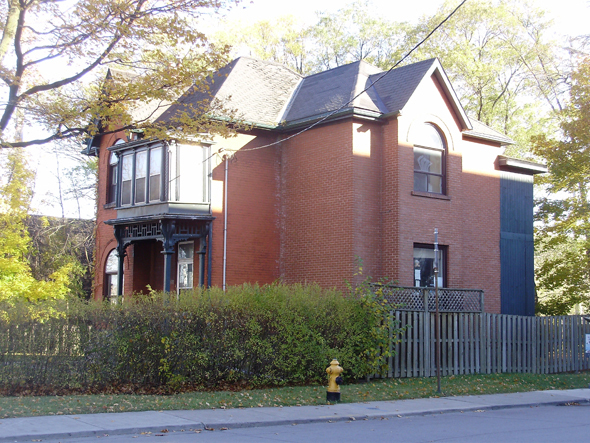 The only institutional relic that remains is the former superintendent's residence on Fraser Avenue. 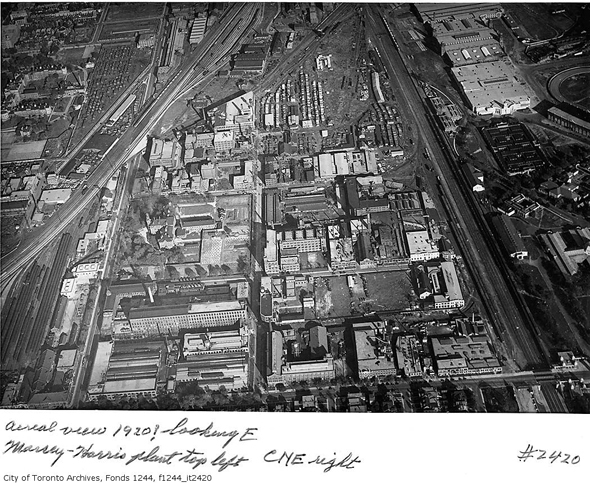 Images from the Wikimedia Commons, City of Toronto Archives, and the Archives of Ontario.